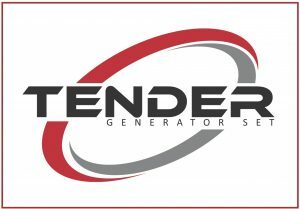 Tender Company Limited was Established in 2000 The impact of the economic crisis in 1997. Crisis of private business sectors such as financial institutions, housing some vendors have closed and employees are removed. Make products that require maintenance, lack of care from a specialist such as Generator, etc. Inasmuch Team engineers and technicians with specialized expertise with experience in generator manufacturing, Assembly and service after the sale. Combined team Mr. Supachai srisawat, electrical engineer, which experienced this field since the year 1984 team leader. To support the repair and maintenance of the generator at the beginning. (Before the year 2000 independent contractor services) Later, the company has a solid foundation. What makes the company grow? This is because the product is of standard quality and has developed. Supplier to Ajinomoto (Thailand) Co.,Ltd. To be leading industrial generator committed to developing quality products Guaranteed by promises. 1. The company administration and operation has to be responsible for the society and environment, and hold on to the virtues aiming to reach the successfulness with equality. 2. Building a strong relation with customers by giving them reliability and satisfaction. 3. Keep improving company’s stability in order to keep it prepared for the market changing situation and economy. 4. Keep improving the managing system to keep company’s efficiency in growing stabilized, and to become the lead of company with best after sales service. 5. Keeping the company creativity active and efficiently manage and operate the company to maintain its ability in supplying the products evermore. 6. The company has to invariably train the staffs to keep the staff ready for the work and to make them develop the use of their working ability in the most efficient way.